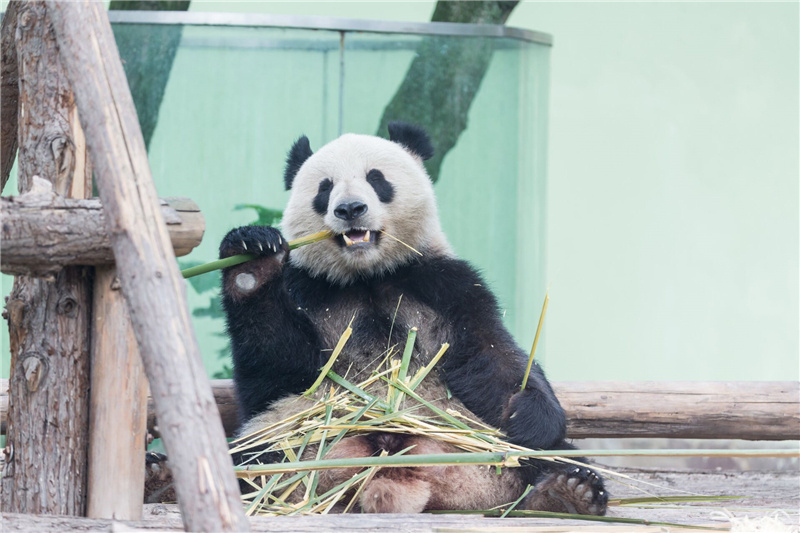 A pair of giant pandas will stay in the Copenhagen Zoo for 15 years as part of a joint research project between the Chinese Association of Zoological Gardens and Copenhagen Zoo to protect and breed giant pandas. A grand farewell ceremony for the duo, Xing Er, a 6-year-old male, and Mao Er, a 5-year-old female, was held at the Chengdu Research Base of Giant Panda Breeding on Wednesday. China and Denmark have frequent exchanges in the field of forestry. 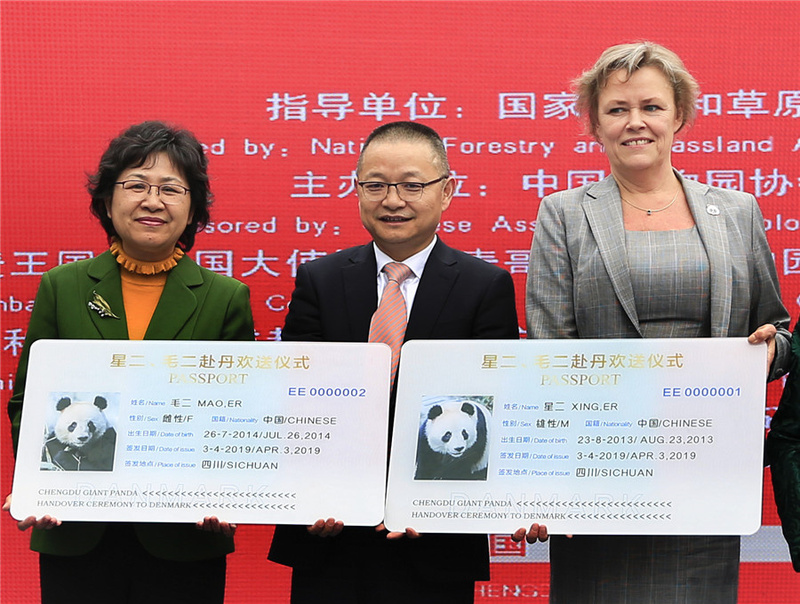 That two pandas are headed to Denmark for joint scientific research will not only bring joy to the Danish people but also enhance the friendly relationship between the two countries, said Meng Xianlin, head of the international department of the National Forestry and Grassland Administration. Preparations for the arrival of the two pandas have been underway for some time. In 2014, the two countries agreed to begin cooperating during Danish Queen Margrethe II's state visit to China. On May 3, 2017, China and Denmark signed an agreement to jointly begin a 15-year giant panda research program. The Danish embassy in China said the two pandas can expect an enthusiastic welcome in Copenhagen. Danish Ambassador to China Carsten Damsgaard will accompany the pandas on their flight from Beijing to Copenhagen. "I am excited to be able to travel to Denmark together with our two new Chinese guests. They will be warmly welcomed in Denmark," the ambassador said. The panda house at the Copenhagen Zoo, designed by Danish architectural firm Bjarke Ingels Group, is inspired by the Chinese yin and yang symbol. The facility allows the male and female pandas to live apart most of the year, yet in proximity and with easy access to a common area when the female is in heat. 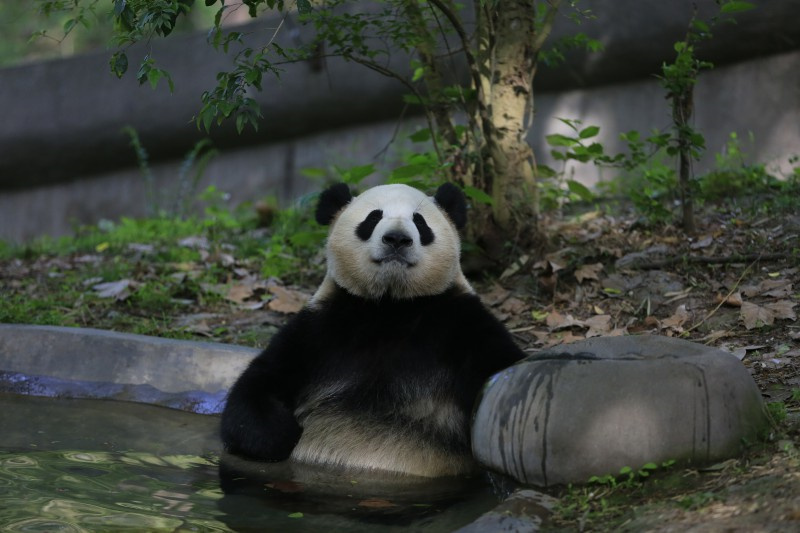 Copenhagen Zoo CEO Jorgen Nielsen hailed the impending arrival of the two pandas as one of the biggest events in the zoo's 160-year history.